Nozawa Onsen Ski Resort has been developing the terrain Park for many years now and with a few keen young guns in the mix it is improving every year! It starts as soon as you get off the main Nagasaka Gondola or the top of the Uenotaira Four lift and runs pretty much the whole length of the Uenotaira course, which is 2000m long. 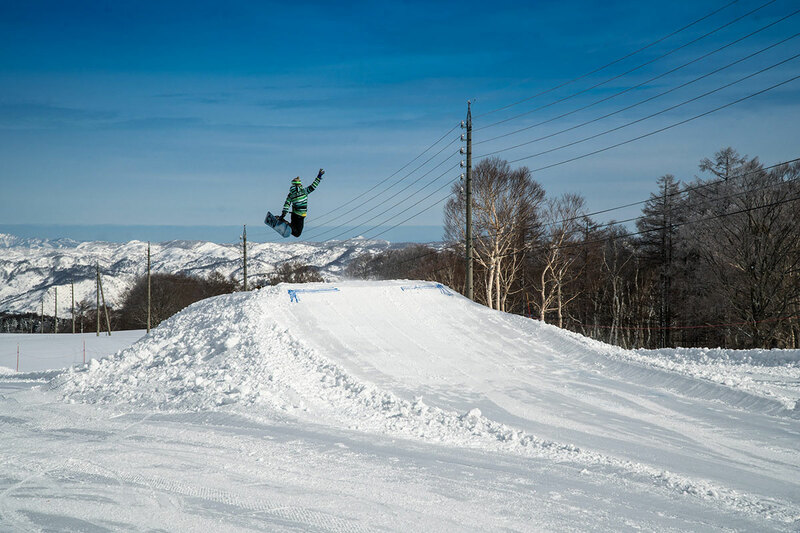 The features starting from top of Uenotaira are: Flat box 4meters, S size jump 2 meter platform, a few rollers, mini rainbow box, plastic canon rail 3meters, down rail 4meters, flat-down box 5 meters… then M kicker 3 meter platform and L kicker 5 meter platform followed by a quarter pool feature and flat pipe 4 meters. The other side of the Unenotaira has a great half pipe, well maintained and L size kicker next to it 6-meter platform with a pretty good run-in speed. The resort also runs a few different Free Style meets throughout the season which involve building more purpose built features. 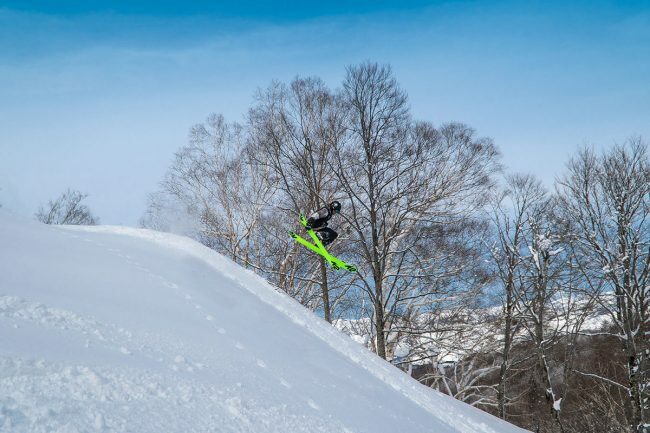 These include Onsen jam, the free ski competition on Paradasie slope with much larger kickers with good run-in speed and the banked slalom on at the end of season. So plenty to keep the most hungry of park rat well fed in Nozawa.